13.1 miles ascending from 9,370 feet in elevation to 11,472 feet. Participants start at the base of Crested Butte Mountain Resort and climb through Aspen stands and alpine meadows along single track. The steepest two miles of climb just before reaching the top of the Silver Queen lift travel along gravel service roads. At the top racers turn back down the mountain 2.3 miles before returning to single track heading north through deep evergreen forest and open meadows. After a 4 mile descent the trail climbs yet again for a little less than a mile. 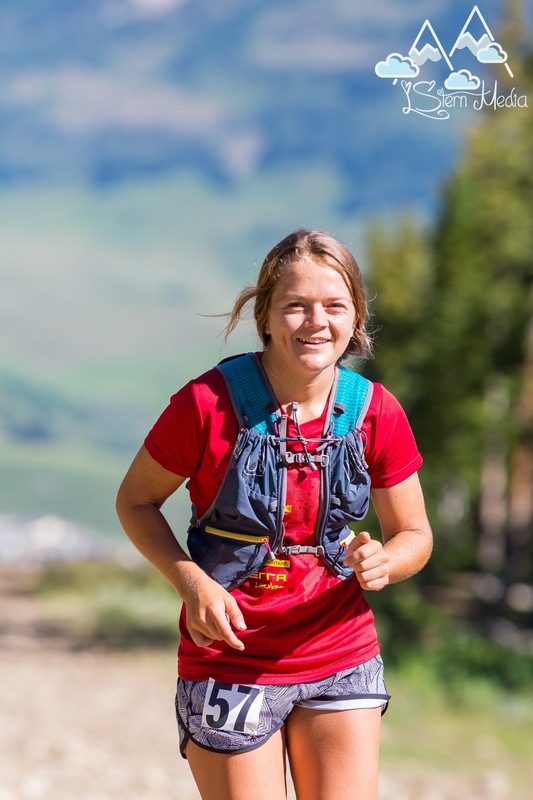 Once the short climb is finished racers are rewarded with a three mile downhill finish through through scenic alpine meadows bursting with wildflowers, aspen groves and scenic vistas. Runners complete the loop finishing at the base of Mount Crested Butte. Recover under a tent while enjoying brunch and beverages. Pay a little extra and treat yourself to a lift ride or give it to a loyal fan who can ride the lift while you run, and meet you a the top! There will be five aid stations located at approximately 3.5 miles, at the top of the Silver Queen lift at 5.7 miles, 8.0 miles, and 10.3 miles. The Half Marathon’s sister event the Summit Hike is the same day and same place. Two great events on the same day give everyone a chance to participate. “I know how many people have been touched by cancer (including myself losing my Dad and many others), and find working with Living Journeys a worthy fundraiser and a great cause. I have done the Living Journeys half marathon for the past several years, and when I race I think of all those I have lost, others who have suffered loss, and all those battling this dreadful disease. 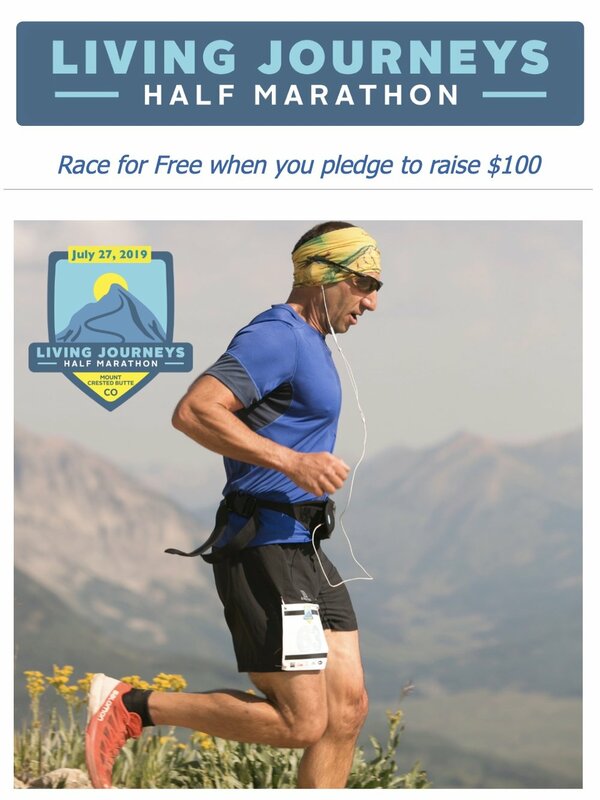 Join me on July 27th and race for free if you pledge to fundraise $100 or more. Race for Free when you pledge to raise at least $100. Register as a Fundraiser! Living Journeys Half Marathon is part of the EDDYLINE BREWING TRAIL SERIES & TRAILRUNNER TROPHY SERIES. Register for a series!